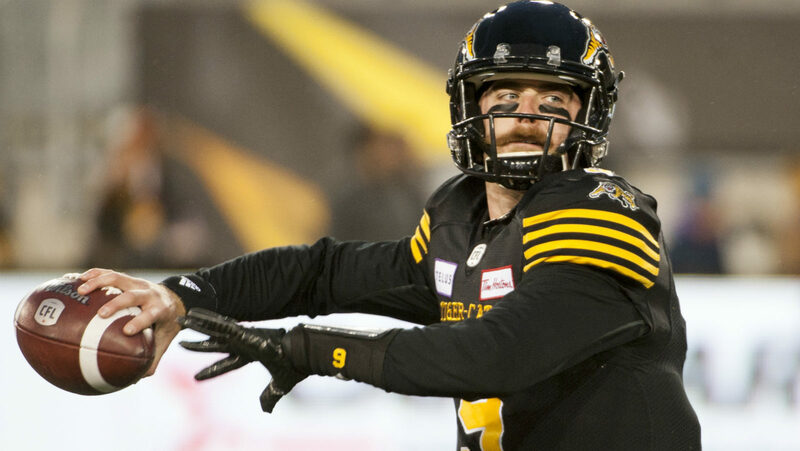 HAMILTON — The Hamilton Tiger-Cats announced Tuesday the football club has signed international quarterback Dane Evans to a contract extension through the 2021 Canadian Football League season. Evans, 25, dressed in all 18 regular season games for the Tiger-Cats in 2018, completing 26-of-42 pass attempts (61.9%) for 383 yards, two touchdowns and two interceptions, while adding 12 carries for 34 yards. Both his CFL playing debut and first CFL start came against the Alouettes last season on August 3 in Montreal and November 3 in Hamilton, respectively. Evans spent the final month of the 2017 season on the Tiger-Cats practice roster after attending training camp with the National Football League’s Philadelphia Eagles. The six-foot-one, 218-pound native of Sanger, Texas, spent five years (2012-16) at the University of Tulsa, registering 904 pass completions on 1,577 attempts for 11,680 yards, 84 touchdowns and 47 interceptions in 46 career games for the Golden Hurricane.